Petunias (Petunia spp) fill the showiest of flower beds or the humblest of hanging baskets with spring-to-fall color. These tough, sun-loving annuals grow in bush or trailing forms, with trumpet-like, single or double blooms. Deadheading their spent blossoms keeps the easy-care plants in full flower over the entire summer. Add fragrance to their list of attributes, and petunias may be the ideal garden annuals. One of their few liabilities is that a tiny, flower-devouring striped worm finds petunias irresistible. 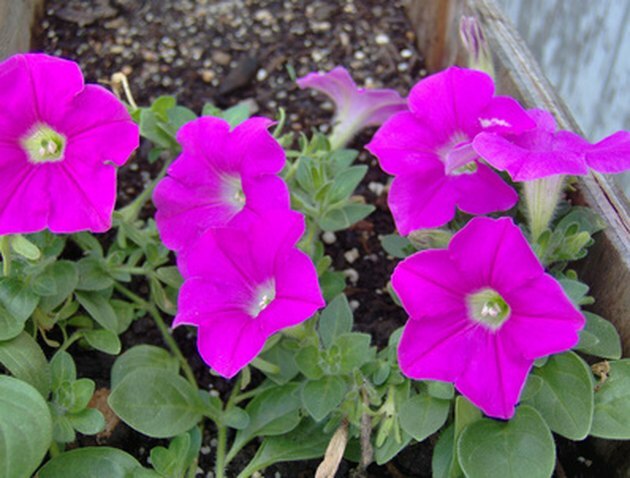 Tobacco budworms can leaves petunia flowers in shreds. Gardeners across the United States risk finding their prize petunias infested with tobacco budworms. These green caterpillars are the larvae of the 1 1/2-inch wide Helicoverpa virescens moth. The female moths deposit their eggs on a petunia's foliage and buds at dusk. The eggs hatch into striped caterpillars. Their colors range from light green or light brown to red and other dark shades. The coloration acts as camouflage. It varies according to the plants on which the pests feed. Newly tobacco budworms feed on a petunia's flowers for about four weeks before falling to the ground. They tunnel from 2 to 6 inches deep, build dirt cocoons and pupate. Where winter temperatures remain above 20 degrees Fahrenheit, the caterpillars entering the soil in autumn can survive until spring. The adults emerge after pupation to mate to lay eggs. Two generations of these worms typically attack petunias in a single growing season. The tobacco budworms feed on flower buds and flower ovaries. Some buds don't open at all. Infected buds that do open have chewed, shredded petals. Budworm infestations, and the damage they cause, worsen as the summer passes. Checking your petunias daily for chewed buds and blooms is the best way to limit tobacco budworm damage. The caterpillars feed most heavily in the early evening. Examine the plants, then manually remove and destroy the worms. If that's impractical, do a daytime check under the petunias' lower leaves and around their bases. The worms frequently hide in the soil during daylight. Tilling your petunia bed in fall destroys overwintering pupae. Parasitic wasps feed on tobacco budworm caterpillars. Campoletis sonorensis attacks the young larvae, while Cardiochiles nigriceps goes after mature caterpillars ready to pupate. Several species of paper wasps also kill the pests. Tobacco budworms are somewhat insecticide-resistant. Spinosad-based insecticides as well as those containing synthetic pyrethrins are most likely to succeed in controlling them. 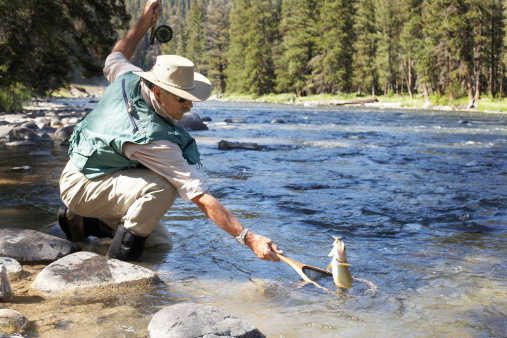 Look for insecticides containing bifentrhrin, permethrin or esfenvalerate.